Inga Martinkute graduated from the Faculty of Law of Vilnius University and obtained the degree of Master of Laws. Ms. Martinkute participated in the European Law Moot Court Competition, worked on the research of Lithuanian Court Reform at Vilnius Center of EuroFaculty. 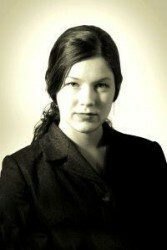 Ms. Martinkute is also practicing lawyer and Partner at SMA Law Firm, Vilnius. Ms. Martinkute has expertise in EC, international private and corporate law, she is experienced in the collision of court jurisdictions and issues of the applicable law on international transactions, as well as issues related to international purchase and sale. Since 2005 she is an advocate and a partner in the law firm SMALIUKAS IR PARTNERIAI.